Mr Eazi, named Oluwatosin Oluwole Ajibade at birth, is popular for putting African music, especially West African hits, on the world map. His songs are usually a representation of two distinctive countries and cultures and are well-loved for their R&B and Afro-beat sounds. A popular artist among Ghanaian and Nigerian audiences, Ajibade’s musical talent first brought him to the limelight in Ghana and later in Nigeria. He is currently signed to the record label Universal Music Group as well as Los Angeles-based record label, Mad Decent, according to several online reports published in March 2018. Mr Eazi is best known as the originator of Banku music, a mixture of percolating rhythms and Ghanaian Pidgin English while his music is generally appreciated for fitting into West African pop, hip-hop, highlife, as well as Afrobeats. The young star is also known to have banded together with a handful of African and International music artists, including DJ Juls, Pappy Kojo, Eugy, and many others. His music credits include his 2013 dope mixtape About to Blow and Life Is Eazi, Vol. 1 – Accra To Lagos, which was released in 2017. Over the course of his career, Mr. Eazi has won himself four nominations and three big awards, which he received at the WatsUp TV Africa Music Video Awards and The Headies. At the 2016 Headies, the talented singer won the Next Rated award while his song Skin 8Tight earned the Special Recognition Award Music Video Africa at the WatsUp TV Africa Music Video Awards. Mr Eazi is a popular Nigerian singer who rose to prominence after he contributed a verse to the song My Life while he was studying at the Kwame Nkrumah University of Science and Technology, Ghana. The artist was born on July 19, 1991, in Port Harcourt, Rivers State, Nigeria, to a pilot father and a mother who was into small-scale business. His full name is Oluwatosin Oluwole Ajibade, as we mentioned earlier. Mr Eazi had his elementary education in Lagos, Nigeria and later relocated to Ghana at the age of 16 to further his education. He was eventually admitted into Kwame Nkrumah University of Science and Technology (KNUST) in Kumasi, where his journey as a music recorder actually began. At the time, the singer used to promote campus events and also book artists for shows like campus parties and other entertainment events. After recording success, Mr Eazi went on to establish a promotion company known as Swagger Entertainment. The record producer would burst into the mainstream of success while in KNUST after he contributed to the song, My Life. From becoming the go-to hit in the university, the song pulled in an impressive number of local and international fans to Mr Eazi’s side. The Skin Tight crooner later returned to his native country (Nigeria) at the age of 23 and started working for Schlumberger, after he launched his own e-commerce business. 1. Mr Eazi’s father has a personal aviation consulting practice. 2. While growing up, his father usually plays music records for the family during breakfast. 3. Mr Eazi boasts a wealth of business ventures. He once said in an interview that his business interests cover food distribution, gold mining, and soft drinks import. 4. The singer formerly worked as a club promoter. He, however, quit the job after an invited artist failed to make it to a party he attempted to throw in 2014. 5. The singer spent his early childhood in Nigeria and his young adult years in Ghana, where he reportedly has an extended family. 6. Ajibade was among top African artists who attended the Vanity Fair Oscar party in March 2018. The singer was seen together with celebrities like Tyler Perry, rapper Drake, and American rapper Sean Combs, popularly known by his stage name Diddy. 7. Sometime in early 2017, the singer was heavily backlashed for insinuating that Nigerian music is heavily influenced by Ghanaian music. 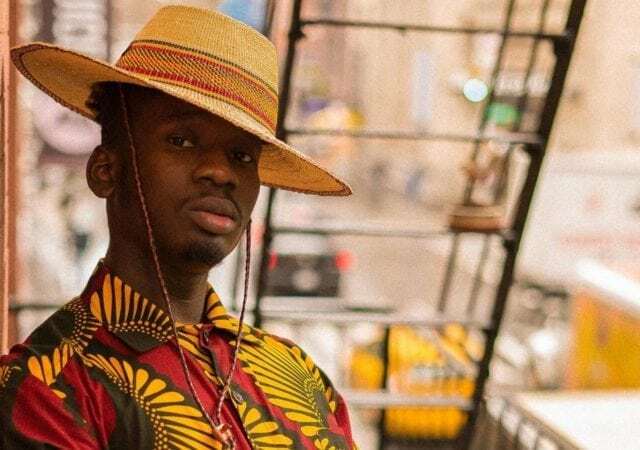 Mr Eazi’s postulation, which was shared on Twitter, immediately went viral both in Nigeria and Ghana, attracting fierce attack on the musician. The backlash saw him render an apology to Nigerians the following day. 8. The Port Harcourt-born singer’s professional music career began in the year 2012. He rose to prominence in the Nigerian music industry in 2016, two years after he relocated from Ghana to Nigeria.